During the 10-day long protest, the farmers will snap supplies of milk, vegetables and other farm produce to cities. To mark the first anniversary of the death of five farmers in Mandsaur last year, various farmers' organisations have given a protest call “Gaon bandh” from June 1 to June 10. Amid the proposed protest, the district administration has imposed a norm upon the villagers asking them to sign a Rs 25,000 bond saying they will maintain peace in the area. Last June, five farmers were killed in police firing while protesting for minimum prices for their crop produce. Reportedly, notices have been served to over 1,200 farmers who will be questioned in the local police stations and will be asked to sign a bond – an undertaking to ensure peace under Section 107 of the Code of Criminal Procedure (CrPC). While the state and central governments are claiming that the move is a precautionary one, farmers are arguing that the move is to suppress the public anger against the government. According to the reports, that the family members of the deceased and the injured farmers from last year's agitation have also been served with these notices. 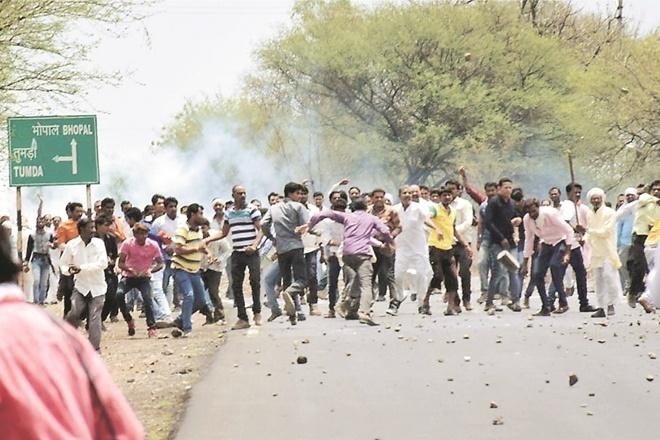 Narendra Singh Tomar, the Union Minister for Rural Development and Panchayati Raj said: "Asking the farmers in Mandsaur to sign surety bonds is a precautionary step as anti-social elements have played havoc with law and order during their previous agitation." “We thought we would forget what happened last year but, with this notice, they are ensuring we don't. 700 such notices have been issued in Malhargarh tehsil,” said Dinesh Patidar whose 17-year old son Abhishek died during last year's police firing. During the 10-day long protest, the farmers will snap supplies of milk, vegetables and other farm produce to cities. The farmers’ associations have come up with 25 demands, including jobs to those farmers who got injured in the last year's agitation. Opposition parties, including Congress and Left parties, have earlier announced to assemble in Mandsaur and protest on June 6.